54 years of action with and for young workers across the world! Let’s go on with our continuous struggle for, by and with the young workers! Almost a century ago, in 1912, Joseph Cardijn was named curate of the parish of Notre-Dame at Laeken, a suburb of Brussels, Belgium. He immediately discovered the situation of young workers, particularly that of the exploited girl apprentices. What he saw led him to create the initial groups of workers of what was to become a movement, the Young Christian Workers (YCW). The YCW is still very active 99 years later, not only in Belgium but in around 40 countries across the world. Local groups developed in Belgium first, but soon the movement crossed the borders to reach other European countries, and finally other countries around the world. On 25th August this year, the International Young Christian Workers movement (IYCW) celebrates its 54th anniversary. It commemorates the great world assembly held in Rome in 1957, which brought together 32,000 young workers from 85 countries. 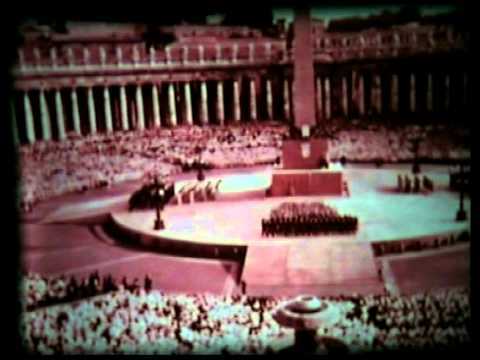 A Sunday mass took place on 25th August 1957 at Saint Peter’s basilica, and Pope Pius XII joined the young workers that afternoon on Saint Peter’s Square. And that was the moment and day of the birth of IYCW. The IYCW celebrates its anniversary every year on 25th August. Next year, in 2012, the YCW will celebrate the 100th anniversary of the foundation of the movement in Belgium, the 55th anniversary ofthe creation of the international movement, and it will also hold its International Council in Ghana, Africa, in the month of August. Cardijn created the first YCW groups in 1912 because he was appalled at the terrible working and living conditions of young workers at the time. Today, 99 years later, the IYCW continues to set up local groups on all continents around the world to fight the situations of exploitation and injustice faced by young workers and promotes the campaign for Social Protection (Just Work, Gender Equality and Quality Education) for all young workers. Through its action, the movement has achieved a lot throughout its history, but a lot remains to be done in its struggle for decent working and living conditions for each and every young worker. Because, as Cardijn said, “Every young worker is worth more than all the gold in the world”.